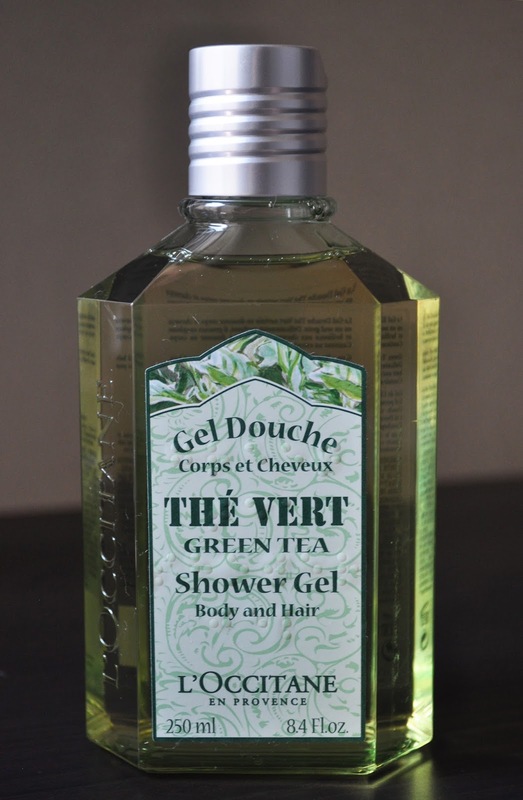 June's body wash is L'Occitane's The Vert Green Tea Shower Gel. I picked up the two-in-one hair and body wash last year in Hokkaido at one of the duty free shops. I loved the fresh and clean unisex scent of the Green Tea shower gel so much, I went to L'Oocitane.com to order a few more bottles. However, to my dismay, the entire green tea line has been discontinued...just my luck! Have you tried any of the products in Green Tea line?